In a perfect world, whenever someone signs up for Facebook, they have considered what they want to share. But how sure are you that your privacy settings are what you want them to be? And what if Facebook “accidentally” resets your settings, like what happened to thousands of users this week? Your settings may look like the screenshot below, but it’s simple things that go wrong, that usually come to light while checking the stuff pointed out in this handy blog post by Martin Bryant published last year. Once you tag a person in one of your “crazy” photos (especially when you don’t tag yourself), that photo has just become slightly more public, depending on your friend’s settings. Photos may eventually end up appearing on your friends’ of friends screens. If you allow certain apps to show and share your stuff, then there is another potential loophole in your privacy settings. And when Facebook changes the way a certain setting works, or adds a new one, it sometimes isn’t what you would like it to be. You may not care about who reads your day-to-day status updates, but it’s a mistake to think that you don’t need proper privacy settings. It’s not the normal updates you should be worried about. You should be worried about the fun Facebook ranting after a night out and the photos you get tagged in after a bachelor party. Only after these things get posted, you start to realise that not everybody needs to see these things. For once, do what your mother told you and sit down with a piece of paper (or do it digitally, whatever makes you tick). Imagine the worst case drunk posting scenario. Who is allowed to see those updates? If the answer is “your Facebook friends” (i.e. you trust all your friends on Facebook), then adjust your settings accordingly and make sure only those friends see those updates (like in the screenshot above). It may very well be the case that there are some work colleagues amongst your friends that you may want to exclude from your late night rants. Or some family members who think you actually behave yourself. But more importantly than all this: don’t forget that apps like Instagram and others are a risk as well. The stylish retro club photo on your wall may just be for your Facebook friends, but that doesn’t necessarily go for Instagram. Don’t forget that people can follow you on Instagram and various other picture platforms and that most pics on there can be viewed by anyone. Including people you may not want to share those pics with. The same goes for Twitter and related services like Twitpic. These things are public by default, so be sure to set your Twitter stream to private if you like. It’s no use adjusting privacy settings on Facebook, if you’re not sticking to the plan on Twitter. Untag photos you don’t want to be tagged in, delete apps you no longer use, check what these apps are copying to their own platforms. It’s all about thinking about what you want to share with whom, writing down an etiquette and sticking to that. It’ll make your life a lot easier in the end. You’ll have more control over who sees what you post. And that’s an excellent position to be in. To stay in that position, repeat these checks every month or so. You may accidentally change permissions for an app or the relationship with your friends may change in a way that you no longer want to share everything with this person (hint: Facebook Lists and Groups could be an excellent solution). 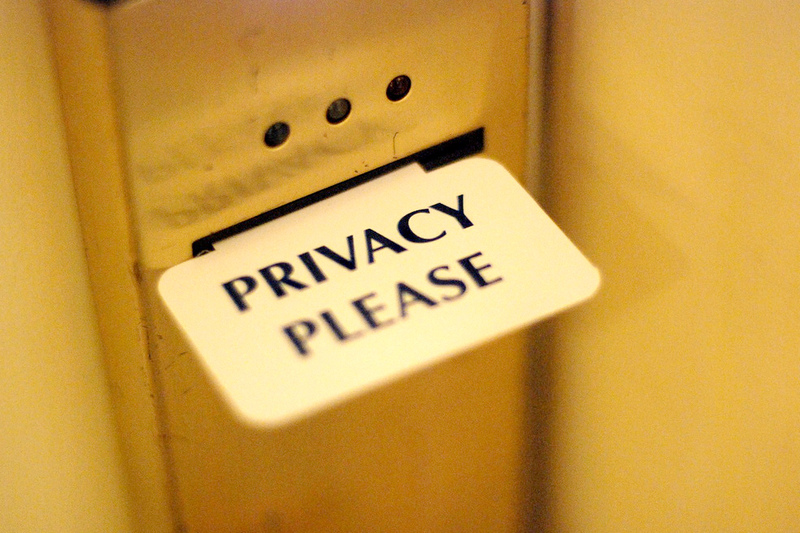 For most of us, we only realize how much we need privacy when we don’t have it anymore. So don’t wait for that moment to come. Think ahead now, thank yourself later.